We are using a new and improved tool to provide you with updates. Take note of our new email address and add to your safe sender list if necessary. Manage your subscriber preferences here to select other topics you may be interested in as well. 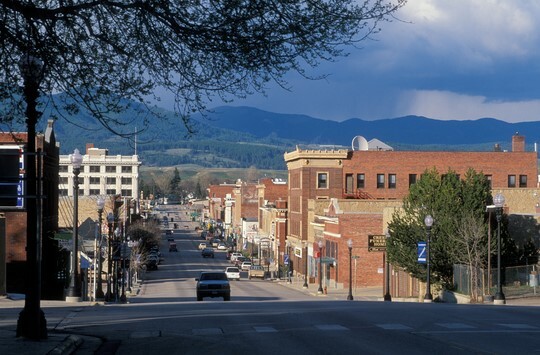 The Department of Commerce Community Development Division will begin accepting Montana Main Street Program grant applications for the FY 2019 application cycle on November 16, 2018. The Montana Main Street Program guidelines and updated grant application can be accessed on our website by clicking here. The Montana Main Street Program awards grant funding to member communities on a competitive basis and as funding allows. Applications are evaluated by the Department of Commerce in the order that they are received, and grants will be awarded on a continual basis until all funds are allocated. Funding can be used to address long-range community planning and revitalization needs as well as more specific prioritized projects. Priority will be given to projects that demonstrate the implementation of larger community vision and goals or as they relate to previous or concurrent larger planning efforts (such as a downtown revitalization plan, growth policy, historic preservation plan, etc.). If you have questions regarding the application process or guidelines, please contact our office to work with a Montana Main Street team member at 406.841.2770 or by email at [email protected].